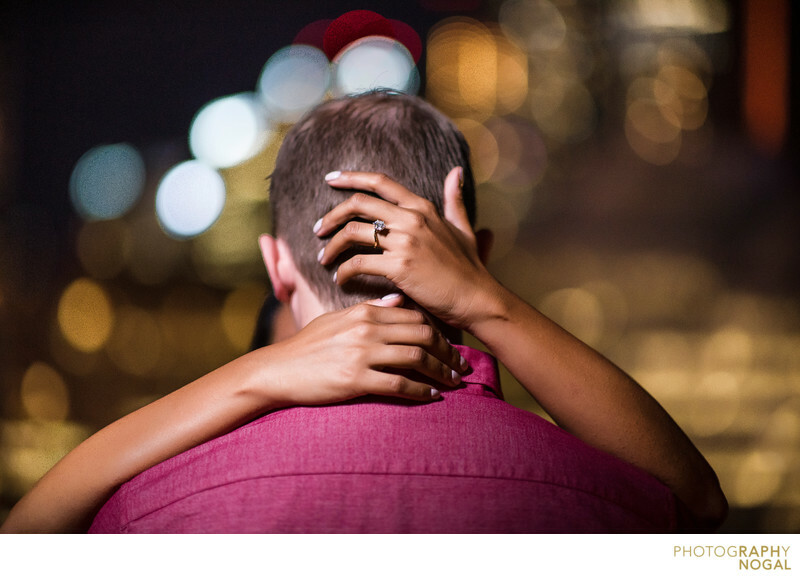 During this engagement photo session, we ended up on the couple's condo rooftop patio and embraced the night time. Lit with Westcott Ice Light 2, we were able to really control the light spilling onto our couple, but also be able to shoot at a wide aperture so get the buildings in the background out of focus. This image was taken with the Nikon D750 at 1/125th shutter speed, aperture f1.4, ISO1600 with 85mm f1.4 Nikkor lens at 85mm focal length.